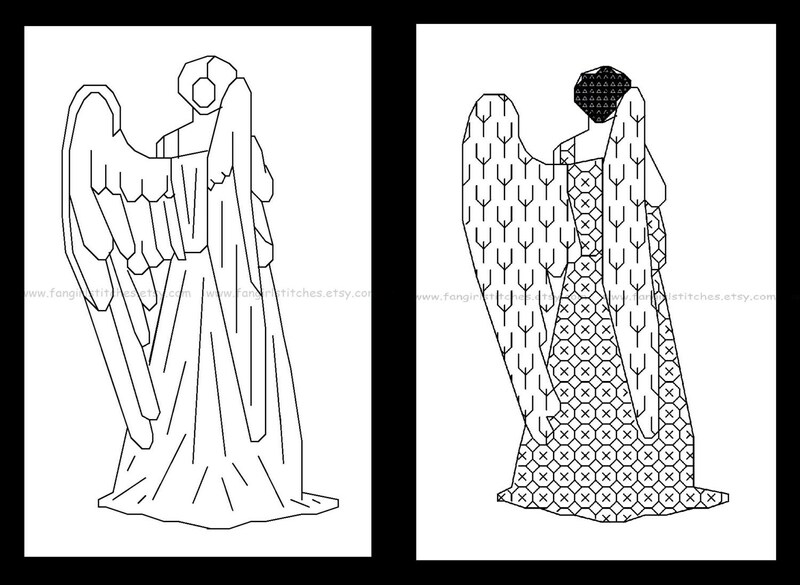 These cross stitch patterns were inspired by Doctor Who's scary Weeping Angels, although they will also work as regular angels for the non-Whovian in your life. 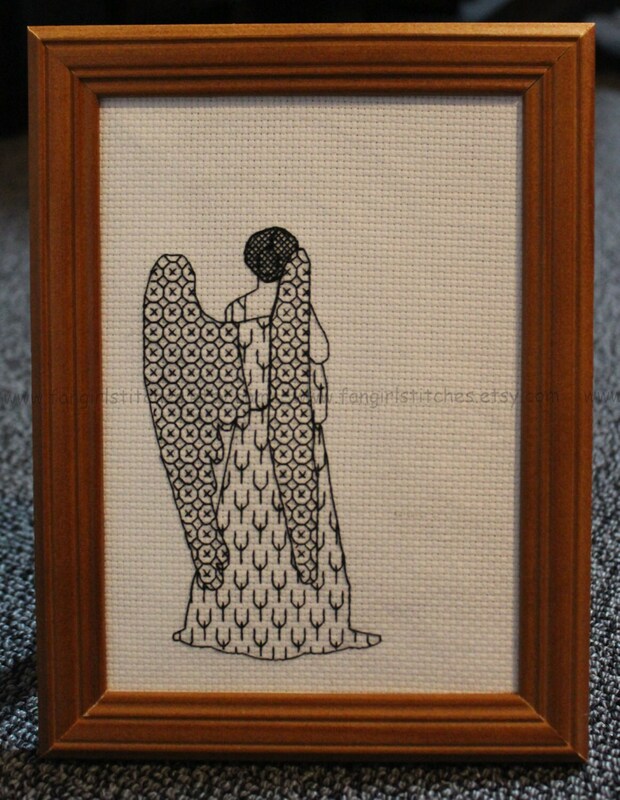 Why not stitch two of the same angel, frame them off centre in larger frames, and move them around the house to scare your friends and family?! Designed to fit a standard 4x6" frame (when stitched on 14 count aida/28 count evenweave), the finished pattern could be turned into a card, wall hanging, banner, box cover. If using a larger frame, remember to make allowances for additional fabric. 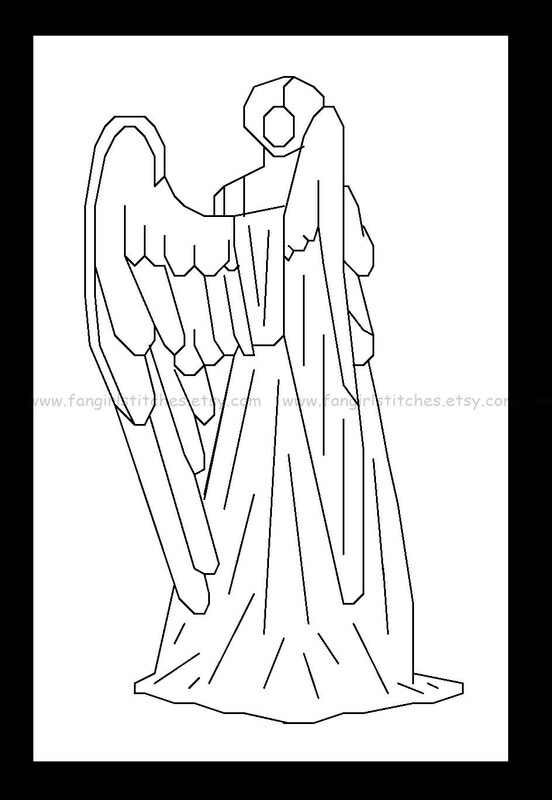 Blackwork is great for beginning stitchers as it is predominantly back stitch, with few full and/or half stitches. 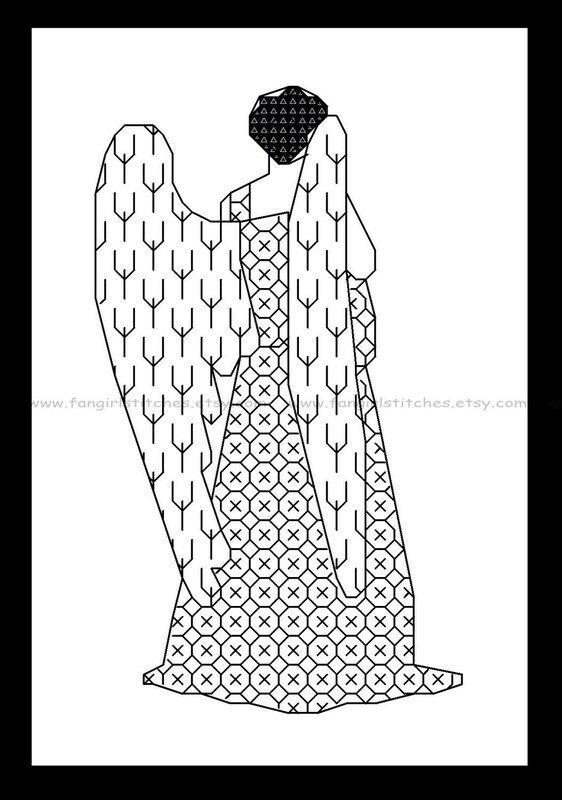 Please note - this listing is for a PDF version of the pattern only. The pattern will be delivered to you instantly once your payment has been confirmed. The download link will also be available in your purchases folder. Due to the nature of digital files, no refunds can be given. . Thanks for looking! If you have any questions about this or any of my other listings, please leave me a message, or contact me on Facebook or Twitter. I'd love to hear from you!